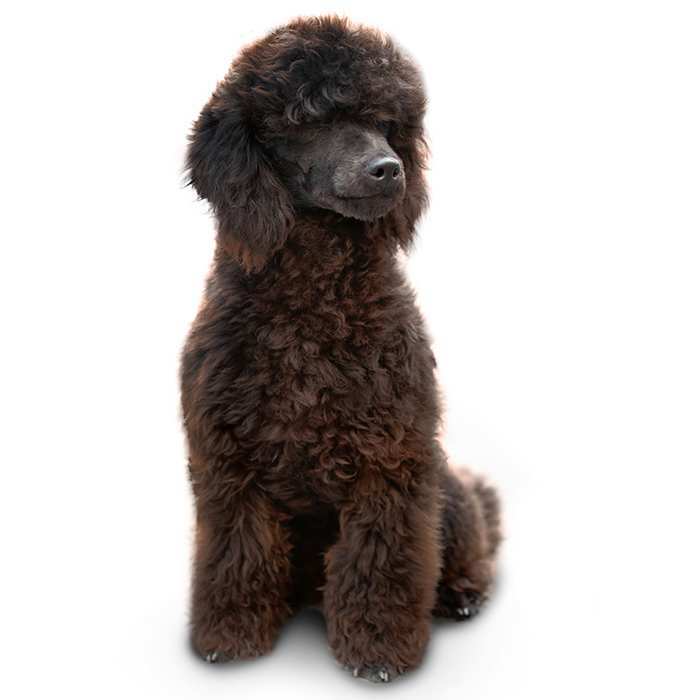 The Portuguese Water Dog (affectionately known as the Portie) is a medium-sized dog known for its thick, curly coat which is (in most cases) hypoallergenic. 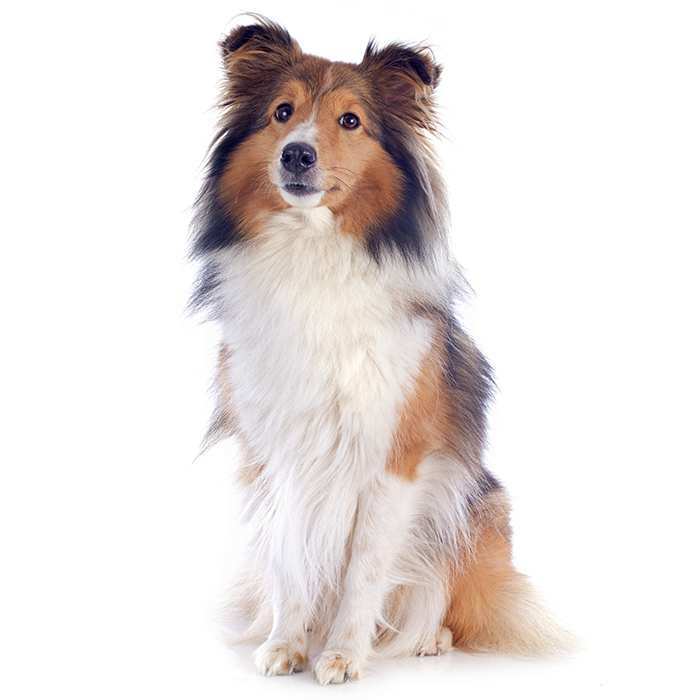 They have a single, curly/wavy coat which repels water and comes in various colours, such as brown, black/white and brown/white, however there are more variations available and each Portie is unique. There are a few different types of clips available for the Portie, meaning two of them could be the same breed yet look entirely different. The lion clip trims the muzzle and lower body but leaves the upper body, head, and tip of the tail long, giving it a lion-like appearance. The retriever clip is the most popular in non-showing Porties, and leaves the body the same length all around. 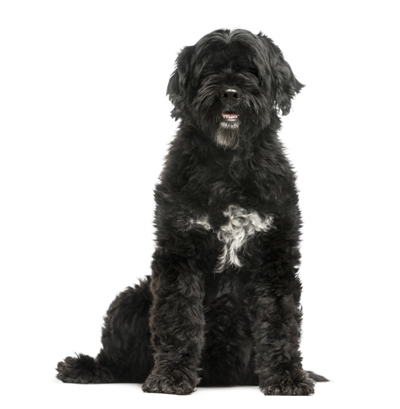 A healthy male Portuguese Water Dog stands between 50 and 57 cm tall and weighs 19 – 25 kg, while females are usually 43 – 52 cm tall and weigh in around 16 – 22 kg. The lifespan of the Portie is 12 to 15 years. Like all working breeds, the Portuguese Water Dog has a lot of stamina, and therefore requires daily exercise and mental stimulation. As their name suggests, Porties love the water, and many owners find throwing a ball into the water and having the dog fetch it is a great way to satisfy the Portie’s instinctive need to run, swim, and retrieve. 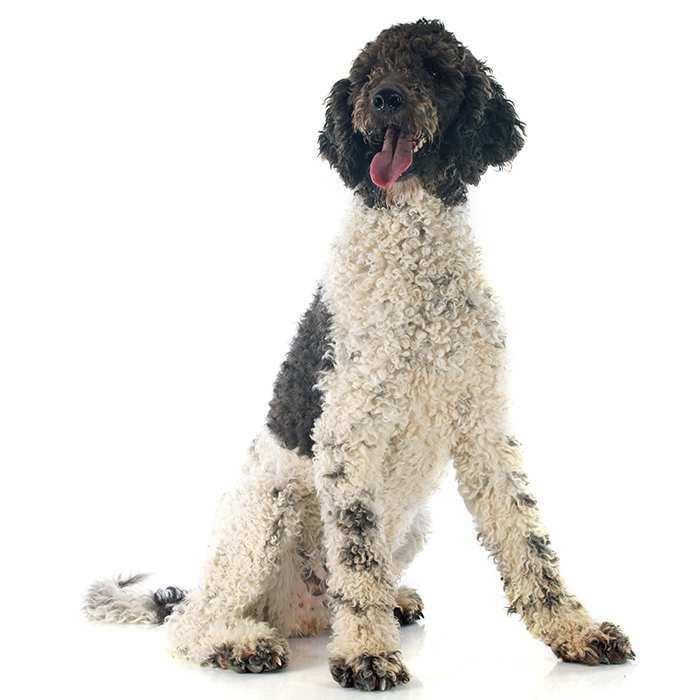 Portuguese Water Dogs are loyal, eager to please, energetic, and amusing dogs. They are very intelligent and fast-learning, meaning they can get bored easily unless mentally stimulated. Regular and challenging training is a great way to keep the Portie’s mind occupied. They are also great watchdogs. They are great family dogs and make excellent companions for children, especially if raised with them. Their boundless energy, however, may scare very young children. Porties can also get along very well with cats and other dogs, particularly if they are raised together. Like all retrieving breeds, the Portie should be watched carefully around small pets such as rabbits and mice, as they might see them as food rather than family members. Portie puppies are notorious chewers, so it’s important to have lots of chew toys available to the dog. Avoid chewing and destructive behaviour in adult Porties by ensuring they get enough physical and mental exercise. Juvenile dilated cardiomyopathy is a hereditary condition which can cause sudden death in puppies between the ages of 5 weeks and 7 months. There is no cure or way to screen for condition in affected puppies. The only way to prevent the condition is for breeders to avoid breeding carriers of the gene. Storage Disease (GM1). Storage disease is a genetic condition resulting from the lack of an enzyme which causes toxins to build up in the nervous system and is fatal. 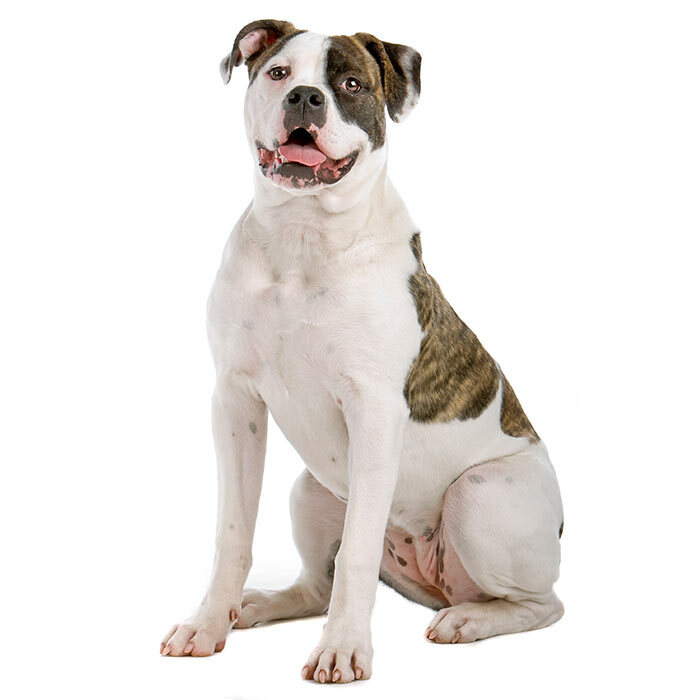 A DNA test can be performed to screen for carriers of the defect, who should not be bred. Addison’s Disease (Hypoadrenocorticism). This serious illness is caused by the insufficient production of adrenal hormones by the adrenal gland. Porties with Addison’s disease may have a poor appetite, appear lethargic and vomit. The symptoms of this disease are not always straightforward so it’s best to visit your vet where tests can be performed. The Portuguese Water Dog descends from the dogs used by Portuguese fishermen for centuries to help gather and retrieve fish and gear from the water. 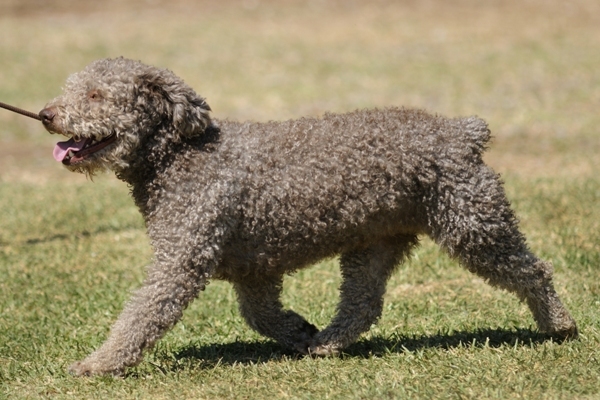 It is probable that it also shares an ancestor with the Poodle, who was also bred for water retrieving. 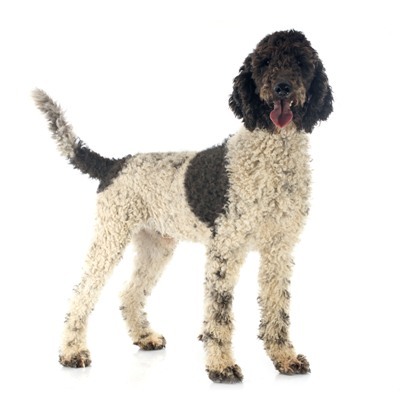 After fishing became more modernised in the 20th century, the Portuguese Water Dogs almost went extinct, but a wealthy enthusiast of the breed, Vasco Bensaude intervened and saved the breed. The Portuguese Water Dog Club of America was established in 1972, even though at the time there were only 12 known Porties in the US. However, within the next 10 years, this number jumped to 650. They were officially recognised by the AKC in 1983 and as of 2013 were the 49th most popular dog in the US. Despite their popularity in the US, there are only 12 known Porties in Australia. 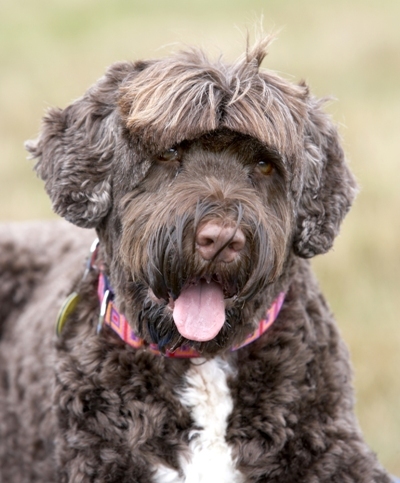 President Obama and his family were given a Portuguese Water Dog by Ted Kennedy (an enthusiast of the breed) in 2009, named “Bo” after the singer Bo Diddly. The “First Dog” was joined by another Portie called “Sunny” in 2013. Ted Kennedy wrote a children’s book about life as a senator from the perspective of his Portie, Splash. Portuguese Water Dogs have webbed toes, designed to help them swim. Porties have a multi-octave voice, giving them a unique bark. All other noises they make are also very distinctive.